I don't know about you, but I am not sure where this month has gone! I cannot believe Easter is next weekend. Time just moves so darn fast, and I am just getting over a bit of a nasty cold as well. Since many fast on chocolate and sweets for Lent, now is the time to enjoy all those goodies! 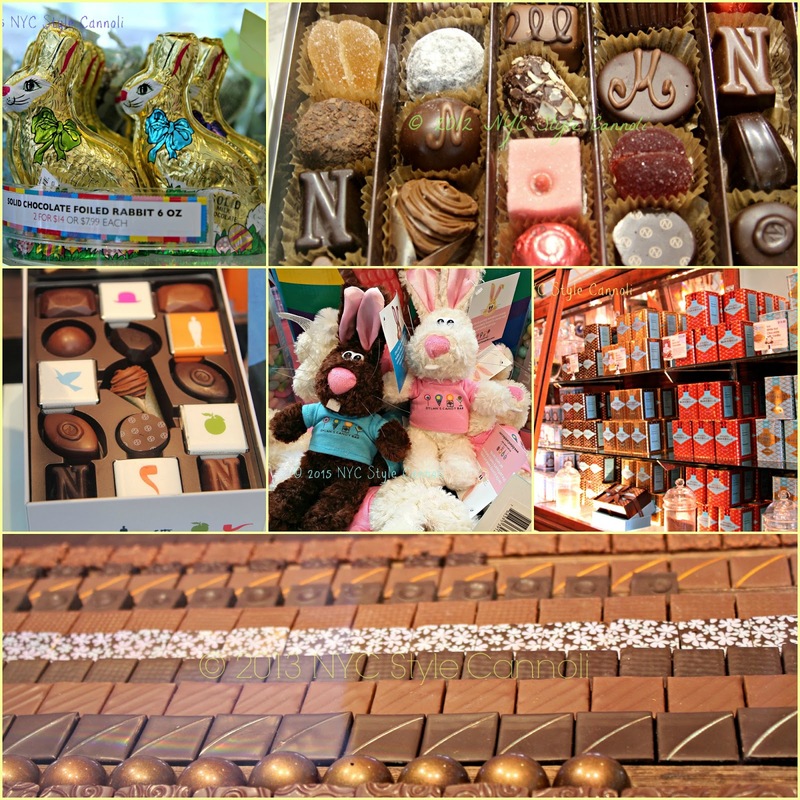 I decided to give you a list of my favorite candy shops in the city, there are so many talented chocolatiers out there. The amazing combos they come up with really blow the mind! Vosges Haut-Chocolate is famous for their bacon and chocolate bar, I also love their Peanut Butter Bon-Bons. I am really quite a peanut butter egg lover myself! You will make some amazing Easter baskets with items from the folks listed below, and, many of them do ship if you can't get to New York City by next weekend!